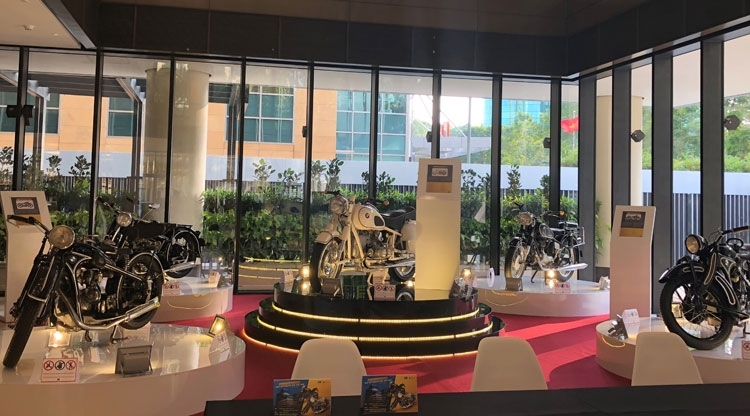 (VEN) - The exhibition of “100+ years of German Precision BMW motorbikes now and then” is opened to the public from April 11 at the lobby of Deutsches Haus Ho Chi Minh City at 33 Le Duan Blvd., District 1. The private collection of five BMW antique motorbikes is a treat to the public from a collector who wishes to remain anonymous while sharing the love and joy of his prized possessions. The motorbikes dated from 1931 to 1969 and are all restored to mint condition. The estimated value of each antique motorbike cannot be determined as the number of transactions are rare even in the international market. The modern BMW motorbikes are mean machines compare to our everyday transportation and are on loan from another collector who has an obvious taste for speed and class. These 5 motorbikes represent only a small percentage of his collection and he is excited to share his collection with the general public at such a prestigious location. “The lobby of Deutsches Haus Ho Chi Minh City allows the character of the motorbikes to be observed in the most natural lightings and in the centre of the city accessible by most.” All the motorbikes are/will be licensed and can be legally on the road in Vietnam priced from 10,000 to 50,000+ USD retail. Deutsches Haus Ho Chi Minh City is a symbol of the strategic partnership and friendship between Vietnam and Germany. It is the most energy-efficient green premium office building in Vietnam with LEED Platinum Certificates. Much of the building materials were imported from Germany reflecting the German technology and precision echoing that of the BMW motorbikes then and now. 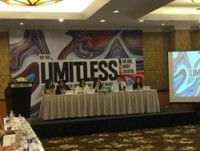 At the centre of the showcase is also the largest indoor LED media wall in Vietnam sized 1,200 inches featuring a short video of the exhibits with some rare footages. The exhibition is opened daily from 10:00 to 20:00 until April 18th 2018.